TORONTO, March 26, 2019 – Tax season is upon us, and many Canadians are flocking to their tax advisers hoping for magical tips that will help them save some of their hard-earned money. Recently I came across an old study that was rather intriguing and a cause for concern at the same time. In this 1993 study, the authors reviewed the results of client satisfaction surveys of 187 people who used local accounting firms. They hoped to discover factors that most determined how satisfied customers were with their tax service providers. Based on the survey results, the No. 1 tax service factor ranked was… drum roll please … how much money was spared from the taxman. If I was a gambler I would not hesitate to go all in and bet that 26 years later, it’s quite likely that many Canadians would still have a strong positive correlation between satisfaction level and the amount of taxes saved. And so what’s odd about that? Let me explain. If tax minimization, therefore, is the desired, sought-after result, we need to understand how to achieve it. It’s critical to understand the difference between tax avoidance and tax evasion. Tax evasion involves either not following or breaking the rules of Canada’s Income Tax Act to avoid or minimize taxes, thus making it an illegal activity. Examples of tax evasion would be failing to report, or under-reporting income, or taking excess deductions for expenses that may not have been incurred while earning income. The Canada Revenue Agency (CRA) takes this very seriously. Tax avoidance, although not illegal, may still be subject to scrutiny by the CRA if the tax reduction strategies taken are not aligned with the spirit of the law. Canadians must be aware that their tax advisers can only save them money to a certain extent and should pay close attention to ensure that no one, knowingly or unknowingly, drifts them into tax evasion territory. 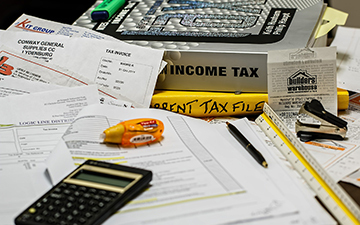 Income tax in Canada is legislated under the aforementioned Income Tax Act, and the tax rules are not only complex but also constantly changing. When selecting a tax service provider, one of the criteria should be to pick someone with up-to-date knowledge in the field. For the most part, when it comes to tax return preparation, tax software will capture new rules and rate changes that come into effect from year to year. For example, the increase in the federal small business deduction rate from 18 per cent in 2018 to 19 per cent effective Jan. 1, 2019, will result in overall corporate tax rate reductions. Examples of other tax changes over the years, all of which are reflected in software updates by vendors like Turbotax or Taxprep, are the elimination of the fitness, arts and public transit tax credits and changes to Capital Cost Allowance rates and classes and dividend tax credit rates. All such changes will be reflected in the current year’s tax software, used by most tax return preparers when preparing and filing a client’s tax return. Interestingly, it does not take much to go from a “basic” tax situation, which typically entails having employment income, RRSP contributions, some investment income reported on T5s and minimal tax deductions, to a situation where the expertise of a tax practitioner becomes quite necessary. The “basic” situation mentioned above could become complex if we simply add rental properties to the mix, especially foreign-owned rental properties that may involve determining and calculating the eligibility of foreign tax credits among other issues. The other aspect that taxpayers should keep in mind in their quest to minimize taxes is to be wary of aggressive tax planners who may consider or propose questionable actions that could result in tax evasion, a punishable crime. One such example was the charitable donation tax shelter scheme in which the Canada Revenue Agency eventually ended up denying Canadians more than $7 billion in tax credits. The CRA reassessments resulted in interest charges and hefty penalties on individuals who, whether on the recommendation of their tax service providers or on their own, participated in the tax sham — all to minimize taxes or maximize tax refunds. The final test of a good tax adviser is someone who will be there to assist you in case of a CRA audit. With the ever-changing tax landscape and complexity of tax rules and calculations, defending the information provided on your tax return requires a good understanding of the tax rules and demonstrating precisely how they were followed. Suffice to say that these additional services will in fact increase the cost of tax compliance. But knowing that your tax service provider will be there to support and assist you in case of a CRA audit can lead to substantial peace of mind. Although paying taxes is a positive indicator because it signifies earnings, an inflow of income and above all a contribution to society, come tax time the name of the game becomes tax minimization. I doubt that paying taxes will ever be a joyous occasion for many Canadians, but we can certainly find comfort in the fact that we live in a great country. Many people have even risked their lives to come here, raise their families — and pay their taxes.